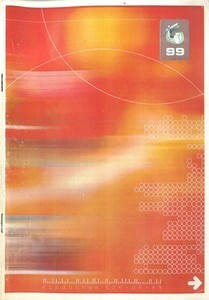 description: Brochure given out to the visitors of Takeover demoparty, taking place 4 to 6 June 1999 in Eindhoven/The Netherlands. notes: This is a fully-fledged magazine prepared by Takeover organisers for the party visitors. Apart from event-related information, it features an interview with Bjorn Lynne, a feature on Vic/Acme and an article on "Internet and the Scene".